Matt Sellors - Blinded By You. Background promo - Well-known for previously fronting Bristol-based band Yes Sir Boss, and sharing stages with multiple award winning artists Joss Stone, Cee Lo Green, Madness and Paloma Faith to name but a few. Matt Sellors has now launched a solo career and tipped heavily as one to watch from many industry insiders, including BBC Introducing. His debut single comes ahead of his much anticipated Secret Garden Party Performance. Matt’s instantly infectious and catchy Debut single, Blinded By You, is a deeply personal and emotive song married to a feel good vibe and upbeat tempo that makes it an easy world to dive into. Often vocally compared to Paulo Nutini, Eddie Vedder (Pearl Jam)and Kings Of Leon, his distinct deep and rich voice is disarming and soulful and totally not what you would expect. Blinded By You has all the hallmarks of a hit including a hook line that you will find yourself whistling everywhere you go. Art d'Ecco - She So Hot. Background - After a period of dark, personal turmoil, d’Ecco escaped the city life and relocated to the Gulf Islands of British Columbia to embark on a journey of much needed soul searching and personal rediscovery. He spent three years in relative seclusion on the island retooling, writing, and overcoming the obstacles of isolation and regret. 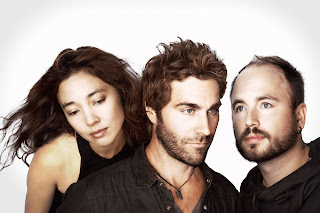 Background promo - Winner of the 2014 Independent Music Award for Album of the Year, Beautiful Machines released their much-anticipated second album, Bridges last month. Bridges takes the band in a new direction, deepening their exploration of live analog/electronic music. The album is purposefully arranged to take the listener on a journey, like cycling through a Tron-grid landscape to launching into a euphoric stratosphere. 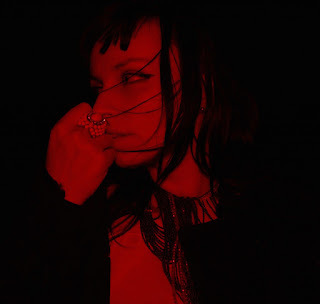 Thoughtful, dynamic and full of rich powerful choruses, wide lush verses and tangential bridges, this album strikes a chord and "bridges" technology and emotion. 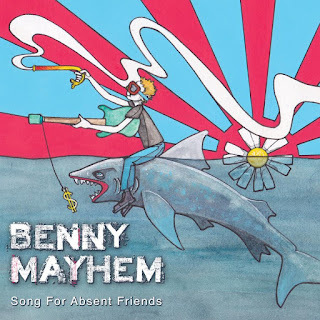 Benny Mayhem - Song For Absent Friends. Background promo - Benny Mayhem has covered a lot of ground, literally and figuratively. Written in a hotel room in the Austrian Alps, his latest single 'Song For Absent Friends' is both a tribute to and a product of, the songwriter's considerable world travels. From being a guitar-strumming teenager in his bedroom at the turn of the millennium, to a decade as the shirtless-and-writhing frontman of Perth rock monsters Project Mayhem, to performing 450+ shows in nine countries worldwide... the musical journey of Benny Mayhem has its own overfilled passport. Don DiLego - Drive Like Pirates (single edit). 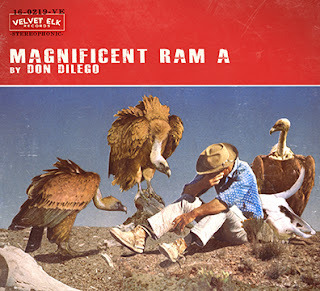 Background - Magnificent Ram A, the new album from musical troubadour Don DiLego, out last week via Velvet Elk / One Little Indian Records. Seeing it’s roots form in Portland, OR with producer/engineer Gregg Williams (Blitzen Trapper, Dandy Warhols, The Decemberists), and wind it’s way back East to the wooded Pennsylvania retreat that is Velvet Elk Studios, DiLego has released a stunning collection of songs, laced with gorgeous melodies and haunting vocals. Many of the original sessions found their way onto his last album, 2012’s Western & Atlantic, which won an Independent Music Award for “Best Roots/Alt Country Album.” The remnants of those original sessions form the foundation of a project he’s long thought about…a collection of click-track free analog recordings that embrace their imperfections and happy accidents. Curse Of Lono - Five Miles. 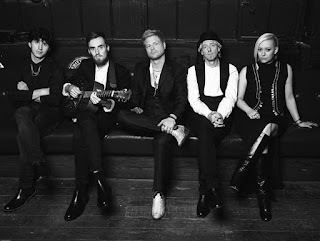 Background - Curse Of Lono was formed in London in 2015 by singer Felix Bechtolsheimer following the breakup of British roots pioneers Hey Negrita. The five-piece have been busy recording their debut album with producer and Boxed In front-man, Oli Bayston. What started as a casual jam with a few friends quickly yielded a stunningly cinematic record, with the dubut EP due for release this October.